You are here: Home / Wooli Property / Buying Time / IT ‘S BUYING TIME AGAIN! IT ‘S BUYING TIME AGAIN! 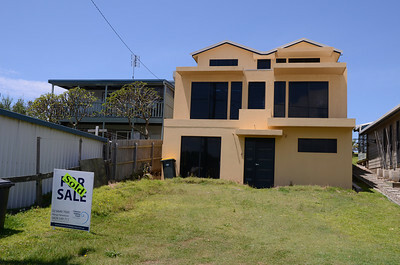 Since the release by Clarence Valley Council of their draft Coastal Zone Management Plan in 2010, Wooli ‘s property scene has been subdued, to say the least. Although global factors played their part, community reaction to the Plan and the subsequent formation of CCPA have been influential in opening up communication channels with CVC and state government on the issue of coastal protection. The more open discussions flowing from this have been a welcome and encouraging outcome. Even more welcome is the redrafting of the Plan now in progress, eliminating planned retreat, except in emergency situations, and placing emphasis on gathering data to support potential short, medium and long-term solutions for protecting Wooli ‘s coastal environment. One of our targets in recent months has been to persuade Council to ensure that up-to-date information on the status of the CZMP is prominent on their website. As you can see from this recent update great progress has been made in placing current information on the Plan in pole position, and relegating the 2010 draft to history, where it belongs. CCPA has focussed on this issue because, since 2010, several potential Wooli buyers have been referred to a CVC website showing a draft CZMP that is no longer relevant. Understandably, they withdrew from the market. Wooli ‘s property scene has been held back because buyers were not fully informed of the fresh thinking now being applied to coastal protection planning. With the true picture of the current outlook on coastal planning available on the CVC site and significantly, its referral to CCPA ‘s comprehensive website coverage – the value of this development cannot be underestimated. Potential buyers will have access to up-to-date planning positions, rather than relying on a three-year-old draft plan in which â€œplanned retreatâ€ was the preferred option. CCPA welcomes this step and hopefully the Wooli property scene can begin a steady recovery.